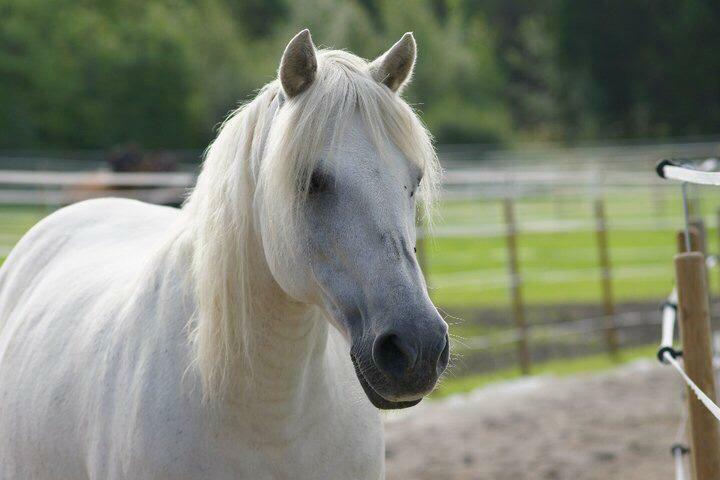 One of my first challenges as a trimmer was the welsh pony mix Dokka. She was (and is) a very pretty pony, with a strong will, and she did not like farriers! She had exceptionally good hind leg aiming skills both sideways and backwards, and she would serve a very quick and unexpected kick if trying to get close to her back end. Her owner told me Dokka had needed to be taken away to be sedated for her trims in the past, but her last trim was now over a year ago. She wanted to try a new start with a barefoot trimmer instead of the traditional hoof care provider (which at least in Norway tends to be only big strong men with a tight time schedule) to see if Dokka would be more willing to have her feet done. When I first started to work on Dokka, I understood that she may have had some bad experiences in her life before coming to her present owner. She was not at all “evil”, only nervous and maybe a bit uncomfortable with lifting her legs too high above the ground, as she is getting older, and have some stiffness in her joints. She would soon let me trim her front legs, provided I gave her time to put her foot down in between short intervals of lifting, and that I did not lift her legs to high, that was uncomfortable for her. Before even thinking about trimming her hind feet, I spent a long time getting her use to my touch, all over her body. Still, she would not let me near her right hind leg. I used my long lead rope as an extension of my arm, to get her used to the feel of something on her leg. She would then let me lift the leg forwards by looping the rope around her fetlock, but only if I stood next to her shoulder. With lots of time and patience (and some apples and carrots from owner), I was able to lift her leg forwards, then touch it both with my hands, and within a few minutes; with my tools. Before I left Dokka that day, she had had all her feet trimmed with no sedation, no stress, only pure understanding and patience! A couple of visits later, I would still use my hands and long rope to desensitise Dokka and make her relax before trimming. Now, Dokka lets me trim her with no stress, no nervous behaviour, no kicking and definitely no sedation!